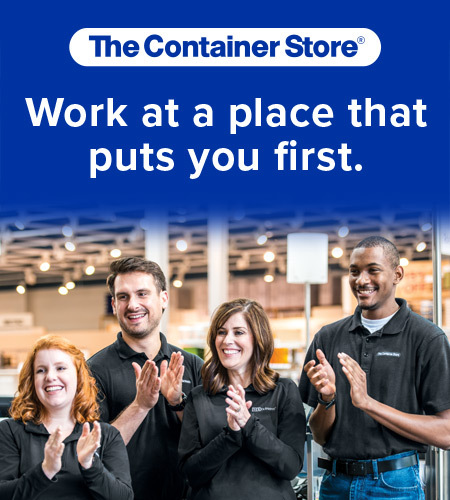 The Container Store – Want a Job You’ll Love? Get ready to have fun getting it done! Join The Container Store’s team and discover for yourself why they’re one of the best places to work in the country year after year. It’s exhilarating, engaging, challenging and like hanging out with your best friends while doing stuff you love. Whether you’re processing merchandise, displaying product, working the register or designing custom closets, each day is filled with the thrill and satisfaction of helping people accomplish their organizing projects. They offer both full-time leadership positions and part-time positions with plenty of leadership, sales and customer service training. Apply today at containerstore.com/careers. Assistant Manager, Sales Lead and Sales Associate. 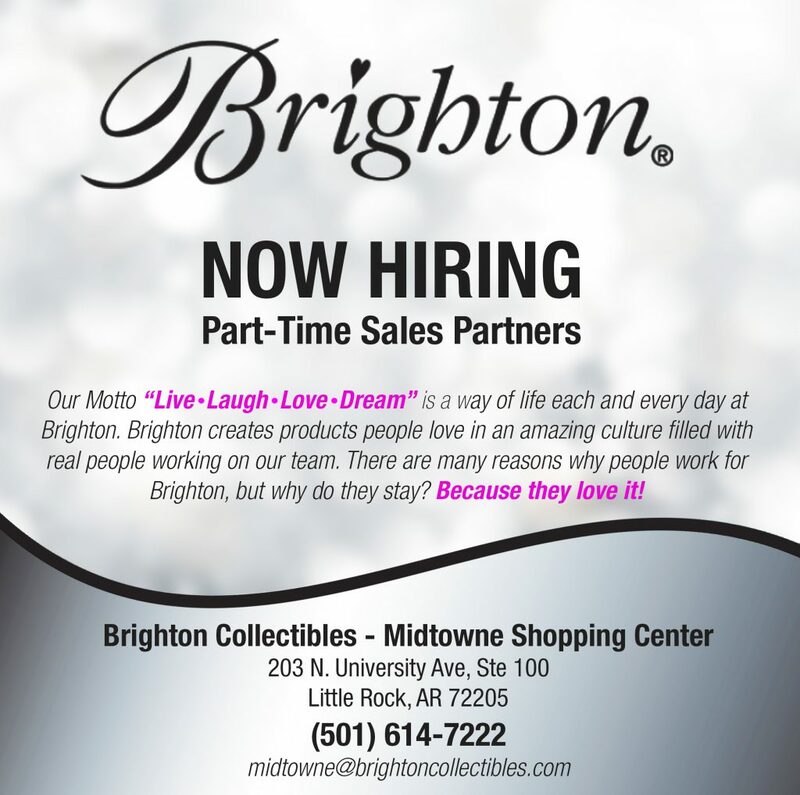 Brighton is now hiring for Part-time Sales Partners at MidTowne Little Rock! Brighton offers flexible schedules and a generous discount. Please respond with a resume (via email) or apply in-store! Click image for more details!